A Twiggs County couple is accused of financial abuse of two mentally disabled people living in their home. A news release from the sheriff's office says it happened at a home on Richard Drive in Jeffersonville. Officers came to the home on May 24 due to a domestic dispute and found a stolen car in the back yard, according to the release. They also found two mentally disabled people in the home, according to the report. 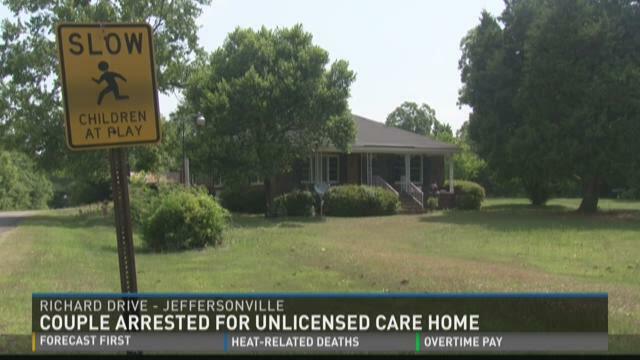 The homeowner, Keyana Williams, said the two people were her patients, but she also told the officers she was not licensed to run a personal care home, the report says. Williams was arrested and charged with theft by receiving for the stolen car, then got out on bail. according to the sheriff's office. The two people in the home were taken to a local hospital and then transferred to the Department of Behavioral Health and Developmental Disabilities. Investigators found that Williams and a male partner, Rodney Bryant, were using the two people's financial resources for personal gain. Major James Faulk says the couple stole a combined $130 from the victims' EBT cards. He says the man and woman came from a personal care home in Atlanta. Faulk also says he's investigating how they got into the couple's care. They each face more than a dozen charges, including three counts of exploitation of a disabled person, four counts of identity theft, three counts of financial-transaction fraud, three counts of unauthorized use of a financial card, three counts of criminal receipt of goods and services and one count of financial transaction card. The sheriff's office says they're still investigating and more charges may be filed. Willilams and Bryant are both in the Twiggs County jail.